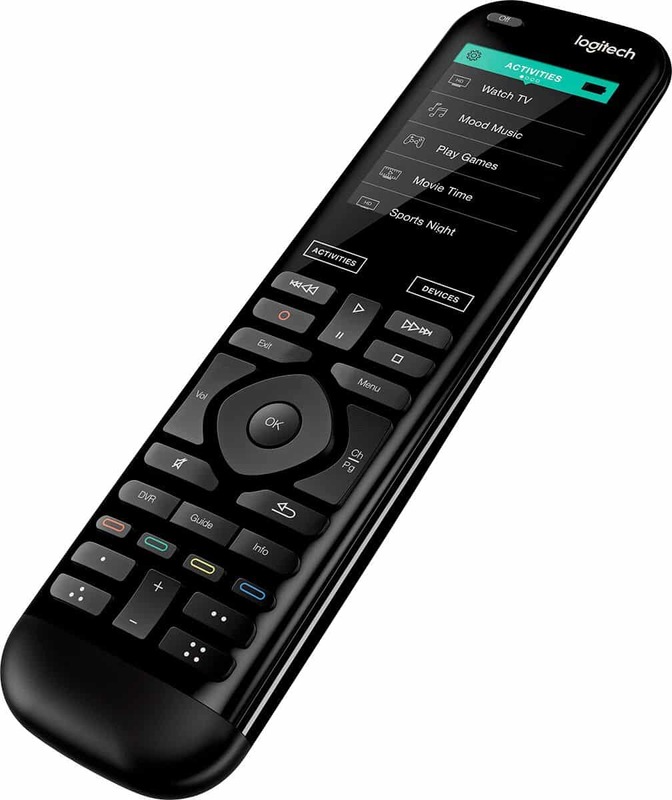 Many of you are probably familiar with the Logitech Harmony remote control family of products. When it comes to the gold standard of remote controls, very few are as powerful and flexible as the Harmony series. But today I do a lot of my home controls through an Amazon Alexa. 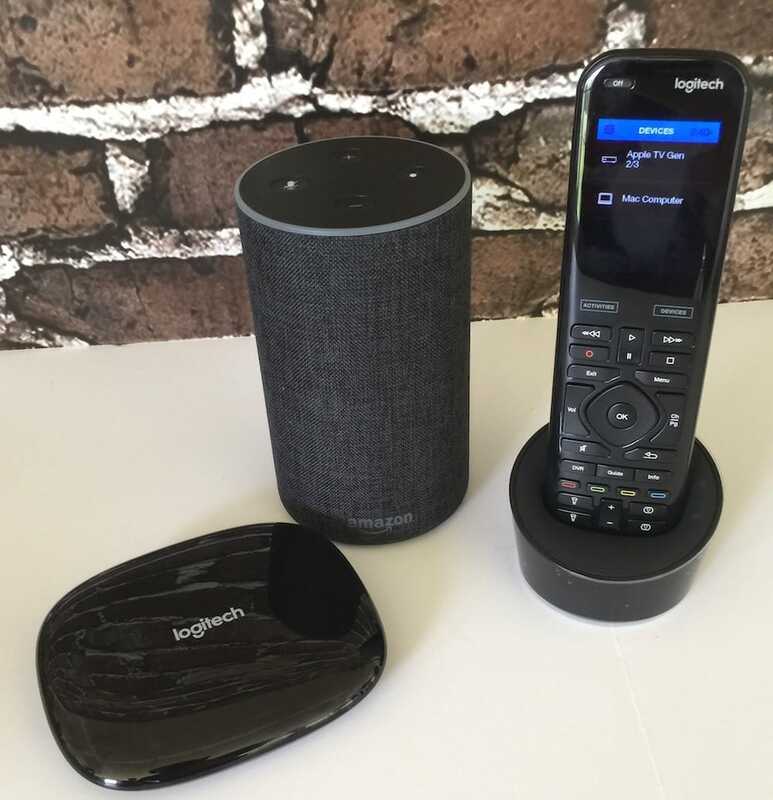 Now, wouldn’t it be great if you could combine the convenience of Alexa with the flexibility of the Logitech Harmony Elite from Best Buy? As it turns out, you can do precisely that. Let’s take a look at how well it works. Since I already had Alexa up and running, I will spare you those details. Instead, let’s talk about getting the Logitech Harmony Elite set up and going. The first thing I did was to hook up power to the Harmony Elite. Two parts need to be given power, the remote base, which keeps the remote charged and ready to go, and the hub. 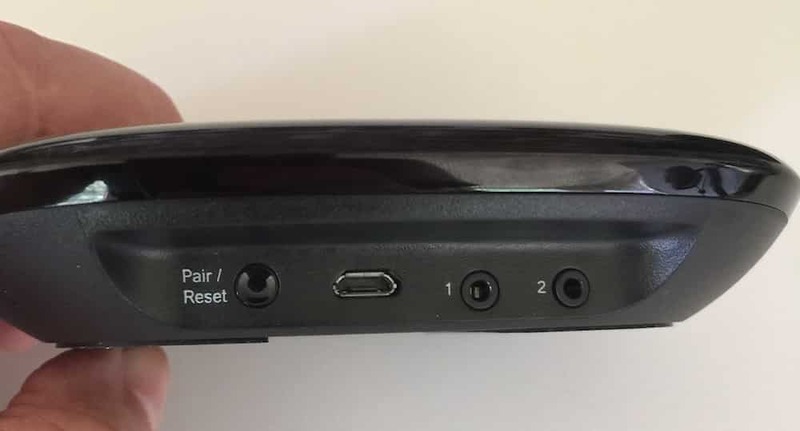 Both of these units require a simple Micro USB connection to feed it power, but Logitech includes two power supplies in the box to make it simple. Now that we have power, it’s time to configure everything. I like to use an iPad for many home control tasks, so I used it to download the Harmony app. Once you create an account and log in with the app, it will start downloading updates for the hardware. After a few minutes, everything was ready to go. The first thing I did was to add a device. This is done in the Harmony app, under “Add Device.” I let the app scan for WI-FI devices, and it correctly found my Apple TV. But I’ve wanted to have Alexa control my computer since I got her, and I realized that this was my opportunity. I went to “Add Device” and selected “Add Computer.” Within a few seconds, it came back that the computer was found. Now, the way the Harmony Hub attaches to a computer is by appearing as a Bluetooth keyboard. The app screen informed me that it was paring with Bluetooth and needed me to complete the paring on the computer. I pulled up settings and found the device, and connected to it. Just like that, it was connected. But there is a small wrinkle. As soon as it paired, the Mac wanted to know what kind of keyboard it was and asked me to press a couple keys beside the shift keys. After giving the Harmony remote a second to sync with the hub, the Mac popped up on the remote screen as a device. I selected the device on the remote, and, by looking at my actual Mac keyboard, determined that the Mac was asking for the “z” and the “/” keys. A quick scroll on the remote touchscreen later and everybody was happy. I could now control my mac using the Harmony Elite remote. It worked really well, with the play, pause, volume, and arrow keys directly controlling the Mac. Plus, I could use the touchscreen to find specific keys if I needed them. I pulled up Netflix and used the Logitech remote to control everything. It worked great, including going in and out of full screen. Now it was time to get Alexa in on this party. The first thing I needed to do was to add the Harmony skill to my Alexa’s repertoire. I used the Alexa app on my iPad and searched for the skill. Now, there are actually two Harmony skills for Alexa, a blue icon version, and a red one. The red skill was labeled for a secondary hub, so I picked the blue icon version. It installed without issue, but I did need to link accounts with Logitech. The next step I attempted was a mistake on my part. I assumed that Alexa would need the Logitech hub to be installed as a smart home device. I had Alexa do a scan, but none was found. As it turns out, this is not necessary. So on with the show. Now it was time to make it work. The Mac was still up and running, so I asked Alexa the simple phrase, “Alexa, play music on the Mac.” Unfortunately, that did not work. Bingo, the sound of Bruce Springsteen came floating out of my MacBook. I can finally use Alexa to control my computers. I fiddled around with different controlling phrases and came to the conclusion that the safest approach was to add “on the Mac” whenever I wanted to initiate a context control session with Alexa. From then on, Alexa knew what was being controlled. Alexa uses the Logitech Harmony Elite through a set of very logical command phrases. As you can see, Harmony Elite and Amazon Alexa allow you to control your entire home entertainment experience with just your voice. “Alexa, (turn up / turn up) the volume by 10 (or another number). “Alexa set a sleep timer for 15 minutes” (or pick another number). Now, it should be mentioned that once you say stop, the context is lost. You will have to repeat the device name to be in control of the Mac, or whatever device you are using. I am quite pleased with the Logitech Harmony Elite and how well it interfaced with my equipment and the Alexa device. Through the Harmony hub, I can empower Alexa to control all kinds of wonderful gadgets around the house that would be difficult otherwise. Just imagine, over 270,000 entertainment and smart home devices at my command. With Harmony Elite and Amazon Alexa, you can enjoy smooth, hands-free control of all the things you love. Turn on your TV, change channels or turn up the volume, fire up a playlist or set the mood for movie night… Your voice makes it all work, just like magic. But there are times when you don’t feel like talking. For that, the Logitech Harmony remote is perfect, with its handy rechargeable stand and convenient touchscreen. The Logitech Harmony Elite would make a great gift for the special dad in your life this Father’s Day. Learn more at Best Buy.